We don’t often do in depth reviews of products as put simply we just don’t get the time and its easy to think we will always be biased! 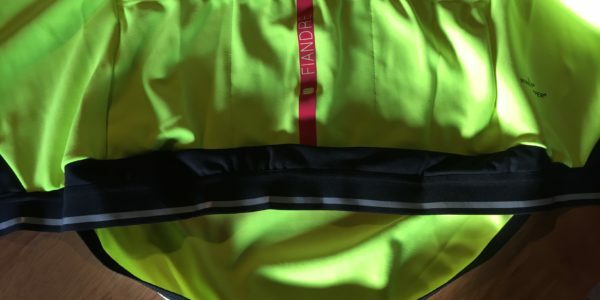 but we made an exception for the Fiandre No Rain jacket as its quite simply the best bit of winter kit money can buy and we have used a lot of winter jackets so our opinion is based on actual product usage. 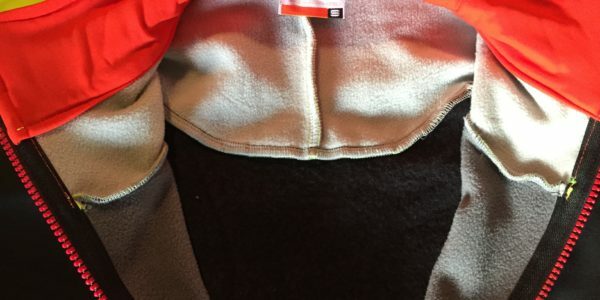 As with all Sportful gear it doesn’t have lots of logos or strategically placed branding to make you feel all cosy with your purchase instead its very understated and just gets on with business. 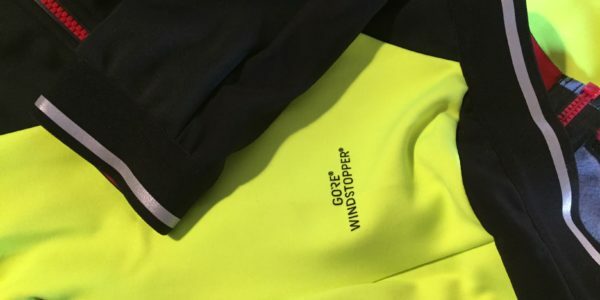 A combination of fabrics has been used in the construction of this jacket and the combination works flawlessly, Gore Windstopper 4 Way Mid & Warm are the main materials used throughout the product with No Rain thermal inserts assisting with breathability. A no nonsense YKK waterproof zip tucks away nicely into the zip garage to save any rubbing on chin and luggage carrying duties are taken care of with the standard 3 pockets on the rear, these proving ample enough in size to carry all of your winter essentials. 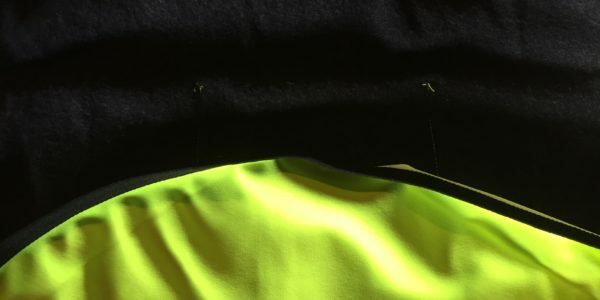 The inside of the jacket have a lovely brushed thermal lining which is designed to trap air and increase warmth and as an added bonus feels great next to the skin. The neck is tall and roomy enough to allow for neckwarmers or a facemask to be worn without having the circulation cut off to your head, the signature Fiandre band features on the left shoulder and centre rear and really is the only giveaway to the discerning rider that this jacket comes from good stock, these are reflective too which is a nice subtle touch. 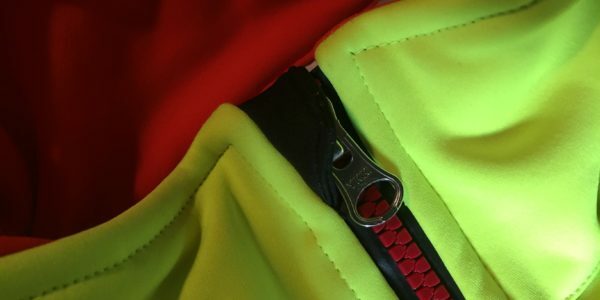 Safety is a big feature of most winter jackets and this one in Fluo yellow is staggeringly bright and combined with reflective piping on the waistband and sleeve ends means you are visible from literally miles away, talking of waistbands Sportful have included an excellent drop down rear flap which can be deployed should the weather turn really nasty or tucked away using the simple popper system. Much talk is given by manufacturers about breathability etc and quite often we read reviews and wonder how they go about testing how breathable something is, having spent some time with this jacket its fair to say its warm, a recent 4 degree ride required only a long sleeved base layer but temps didn’t get out of control even when working hard on the climbs or working up and overs with the local group ride, does that make it breathable? 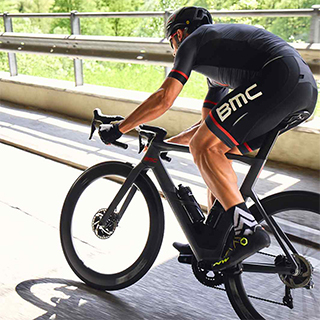 I guess so but everyone is different and seeing as this is aimed squarely at being a weatherproof jacket it might not be the ideal jacket to turn up to a race in but for 99% of riding there is no denying this thing is good, brilliantly good.